Show off your achievements or reward your viewers with this glossy badge. A large numeral "1" appears over a bronze coin in the center of the page. 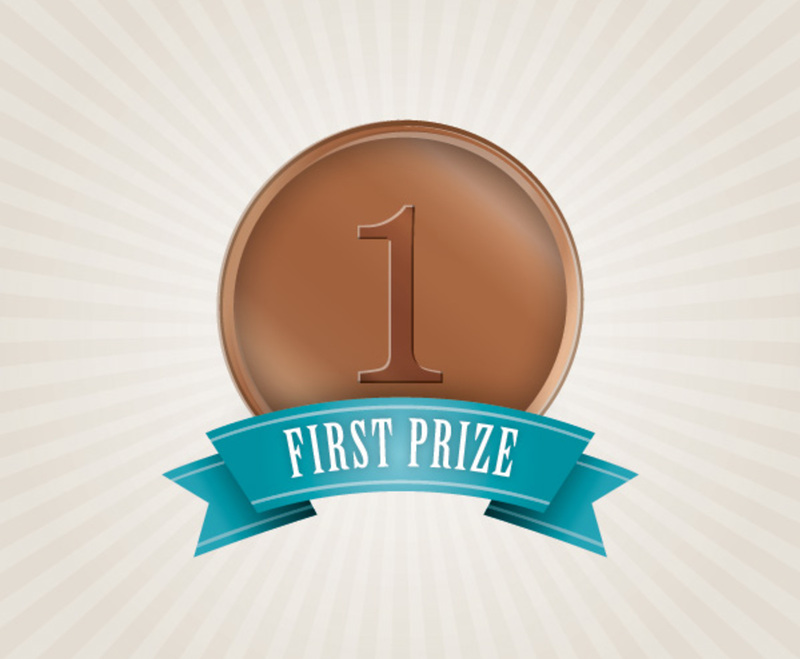 The sides of the coin gradually lighten up, and a blue banner with the words "First Prize" runs across the bottom. The lines running through the background help to draw attention to the badge, and each of the elements shines slightly for a smooth, slick look. This graphic instantly demonstrates the value of your products or services. It's fairly simple, but it feels official thanks to the clever use of color and shading.